With the enhancement of people's health awareness, the potential health hazards caused by the over-refinement of grain processing have been gradually taken seriously. Therefore, the demand for "nutrition, health, safety, convenience and diversification" of the health food of miscellaneous grains is becoming increasingly obvious. 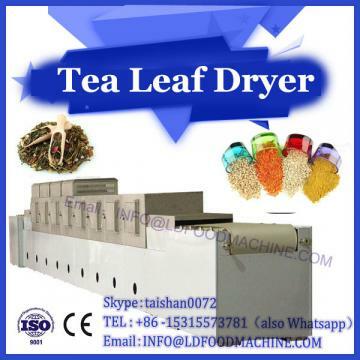 Microwave drying machinery and equipment extruded coarse cereals into instant nutritional powder by drying extrusion technology. The natural protein, fat, carbohydrates, vitamins, minerals and dietary fiber and other nutrients contained in various miscellaneous grains are in line with the reasonable proportion of human intake and have high utilization value. At the same time, the unsaturated fatty acids in miscellaneous grains, such as oleic acid, linoleic acid, linolenic acid, phospholipids, oligosaccharides, etc. Bioactive substances such as polypeptides and flavonoids have the functions of preventing disease, resisting disease, enhancing immunity and delaying senility. Studies have shown that regular eating of miscellaneous grains can effectively prevent heart disease, diabetes, hypertension, obesity, constipation and various cancers, but also can make people deaf and eyesight, nourishing the heart and mind, tonifying the kidney and spleen, strengthening the brain and eyes, preventing vascular sclerosis, strengthening intelligence, strengthening muscles and bones, dispelling black spots, promoting diarrhea and so on. Although the miscellaneous grain contains more beneficial nutrients such as cellulose, vitamins, calcium and phosphorus, the single miscellaneous grain is not easy to digest because of its simple nutrition, rough taste, and can not meet people's requirements, and is not easily accepted by the public. Therefore, brown rice, soybean, corn, peanut, sweet potato, sorghum, millet, mung bean, black bean, red bean, oat, jujube, black sesame and walnut kernel were scientifically blended. It is of great significance to develop nutrient-rich, delicate taste, convenient to eat and in line with modern consumption habits. In this paper, the key technology of instant nutrient powder production-roasting and extrusion technology parameters of various raw and auxiliary materials were studied in order to find out the best processing parameters of instant nutrient powder, aiming at improving the flavor and dissolution rate of instant nutrient powder, and providing reference for the processing and utilization of cereal products in China. A new theoretical basis. 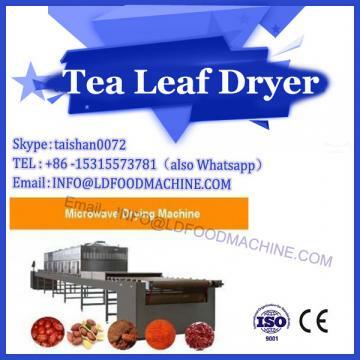 1) The best roasting conditions of brown rice, soybean, mung bean, black bean, black sesame and walnut kernel were 100 C/15 min, corn, peanut, sorghum, red bean and oat were 100 C/20 min, and millet was 100 C/10 min. 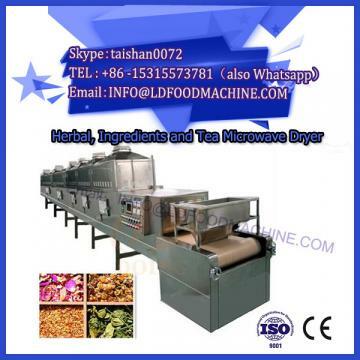 2) The technological parameters of twin-screw extrusion of instant nutrient powder are as follows: granularity of material is 60 mesh, moisture content of material is 17%, extrusion temperature is 160, screw speed is 400 r/min. 3) Scientific blending of brown rice, soybean, corn, peanut, sweet potato, sorghum, millet, mung bean, black bean, red bean, oat, jujube, black sesame and walnut kernels, the instant food nutrient powder product is rich in nutrition, delicate in taste, convenient to eat and in line with modern human consumption. The habit of fee is an ideal healthy food for modern people to replenish balanced nutrition quickly.